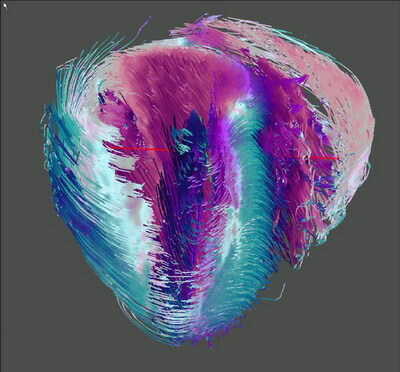 This page describes the application of advanced tensor visualization techniques to study 3D diffusion tensor MRI data of a heart. 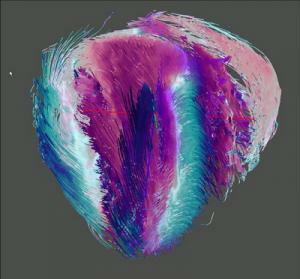 We use scalar and tensor glyph visualization methods to investigate the data and apply a moving least squares (MLS) fiber tracing method to recover and visualize the helical structure and the orientation of the heart muscle fibers. L. Zhukov and A. Barr. IEEE Visualization 2003, Proceedings of Vis 2003, pp 597-602, 2003. 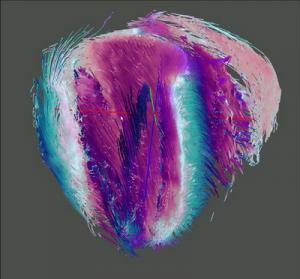 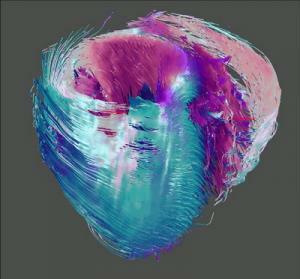 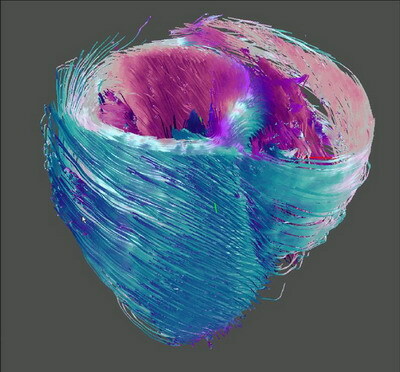 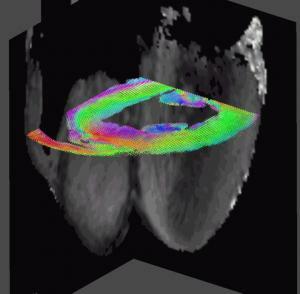 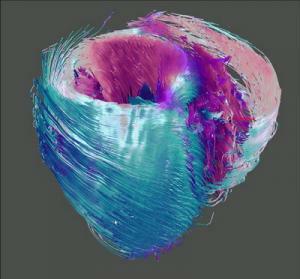 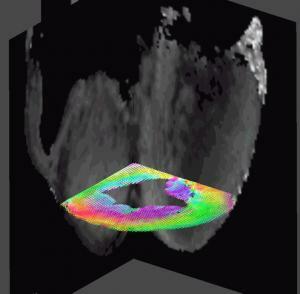 Video: Heart-Muscle Fiber Reconstruction from Diffusion Tensor MRI.